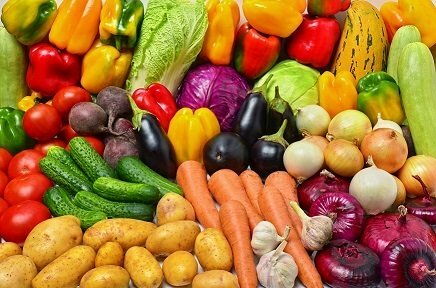 Vegetable and Starch Recipes play an important, although sometimes unappreciated, role in our diets and eating habits. Too often they are thought of as secondary to an entree. This really shouldn't be the case. With quality recipes, like these restaurant recipes, these foods can enhance your entire eating experience and your nutrition. A traditional mashed potato recipe makes the ultimate comfort food and is one of those dishes you can get creative with by adding all sorts of ingredients. Preparation time: 15 minutes. Serves 15-16. These baked mashed potatoes are so good you’ll make extra mashed potatoes just so you can use this restaurant recipe the next day! Preparation time: 15 minutes.<br>Serves: 4. 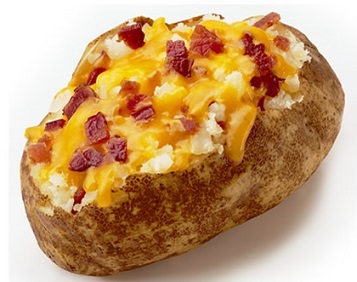 An often over-looked alternative starch is the sweet potato. Serve these delicious sweet potatoes with baked ham, roast turkey, roast pork, roast prime rib or as a buffet side dish. Preparation time: 45 minutes. Number of servings: 6-8. These are really yummy! These bourbon mashed potatoes will be a star component of your fabulous meal. But you can use them in many different ways. Click on the link to see how. Preparation time: 1 hour. Servings: 4. 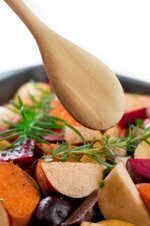 Enjoy the wonderful tastes of fresh baby veggies with this roasted vegetable recipe. 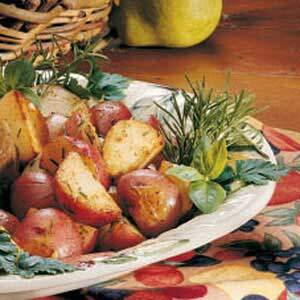 By roasting the potatoes with the veggies you eliminate the extra step needed if cooking them separately. Preparation time: 15 minutes. Serves 4. These are good at breakfast and lunch, as well as dinner. Preparation time: 15 minutes. Servings: 8-12. Fall and Winter are perfect seasons for serving this favorite restaurant recipe: Baked Acorn Squash. It's time for the comforts of fall, like home-made soups and acorn squash. Preparation time: 15 minutes. Serves 4. This restaurant style recipe is especially good served with Blackened Fish. Preparation time: 15 minutes. Servings: 8. 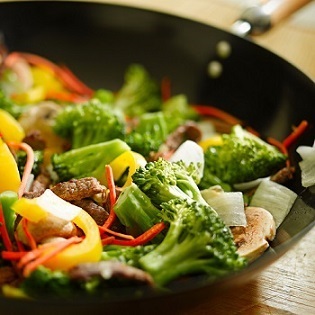 How about something easy, tasty, healthy and colorful for your plates? 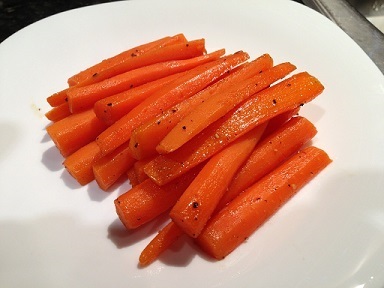 Cooked carrots don't lose their nutritional value. Preparation time: 8 minutes. Serves 4-6 depending on desired portion. This restaurant recipe makes carrots taste so good parents don't have to even encourage their children to "eat your carrots ...they're good for your eyes." Preparation Time: 15 minutes. Servings: 4-6. These grilled veggies may be served hot or at room temperature. Preparation time: 20 minutes. Servings: 6-8. 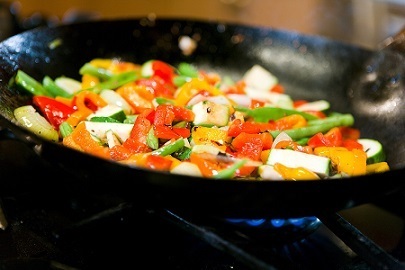 This Veggie Stir Fry Recipe uses a minimal amount of vegetable oil, so it is very much a heart-healthy, delicious way to prepare the vegetables. Preparation time: 10 minutes. Serves 6. What could be better! Two methods (recipes) are explained. Check it out! These barbeque baked beans were originally developed by one of my long time food servers and I “tweaked” the recipe for use at the restaurant. I named the restaurant recipe “Dee Dee’s Beans” in her honor. Preparation time: 10 minutes. Servings: 1 1/2 quarts. Serve this stuffing with roast pork loin or lemon roasted chicken or roast turkey. Preparation time: 12-14 minutes. Serves 8-10 (Makes enough to loosely stuff a 20 pound turkey). This zucchini patty recipe is from a reader of the website. She shared a recipe! Preparation time: 20 minutes. Serves 4. Want to know one way to use all those cucumbers you have on hand? This Dill pickle recipe will provide you with 8 jars of delicious dill pickles. Preparation time: 30 minutes. Makes 8 quarts. ENJOY your vegetable recipes and the company of those you share them with! Enjoy each and every restaurant recipe!